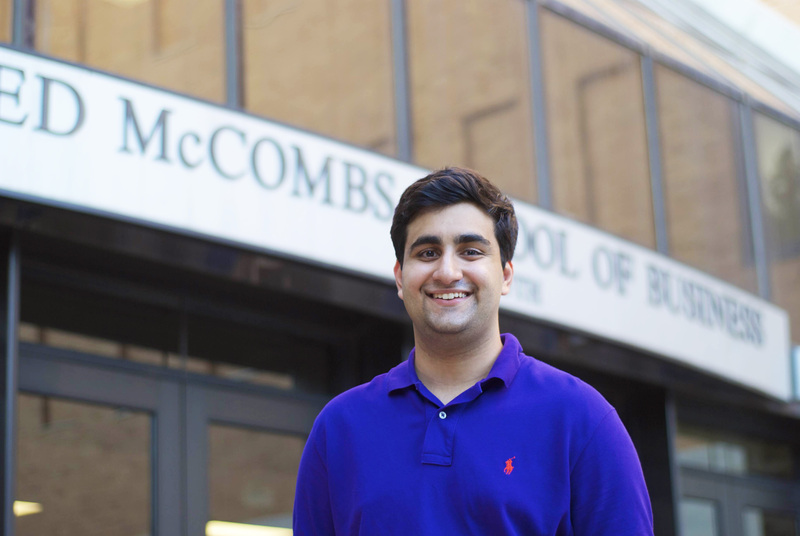 BHP Junior, Humza Tariq, is the founder and president of the Texas Sports Analytics Group and co-chair for both the Texas Undergraduate Investment Team and the BHP Ethics Board. While balancing three internships, he has received University Honors for the past two years and is a Distinguished College Scholar. You created your own student organization, Texas Sports Analytics. Can you tell us your motivation behind this? Growing up, I really loved math, statistics, and sports. In high school, I read countless sports statistics blogs and saw different ways of looking at sports. When I came to UT, I spent the first two years thinking it would be great if there was a group on campus that was dedicated to doing research on sports through a statistical lens. No similar organization existed to my knowledge, so I finally got the courage to start one with a couple of my friends. We then started to notice a large amount of job postings on social media sites for NBA teams for jobs that combined sports and data analytics. The ultimate goal for this group is to serve as a recruiting pipeline for students interested in working for large teams in the NFL and NBA, and hopefully in the future expand to golf and tennis leagues. What have you learned from your various internships? I have interned with a real estate company, a local private equity firm, and an investment bank. Through my experience, I have gained new skills and sharpened others. All of the internships have taught me about being an adult in the workforce and having to go to work every morning. They teach you to manage your time wisely when you are put on several projects that have deadlines around the same time. And, they give you an insight to certain sectors that you may or may not be passionate about. Overall, I recommend that every student at McCombs intern as much as possible, because it is really valuable. How do you manage your schedule and excel academically and professionally? Managing my collegiate schedule was tough at first—trying to balance class, studying, and extracurricular activities. It is necessary that everyone find their way to stay organized and keep up with assignments. I personally spend one day a week to get as much done as possible. Instead of sleeping in on Saturday, I will wake up a couple of hours early, study hard, and then I am set for the rest of the weekend and able to study normally during the week. Budgeting time is also important. Be honest and realistic with yourself about how much time something will take. I plan out all important dates and assignments in a planner, but a personal trick I have found useful is texting myself things I need to do and leaving them as unread messages until they are completed. Beyond academic and professional development, what else do you find important as a college student? In the next few years I want to give back as much as I can. I want to having a prospective on the bigger things. It’s easy in the business school to get wrapped up in careers and jobs. It is nice to be driven and motivated, but you should never let it get in the way of friendships or having a prospective of what is going on in the world. Sometimes you are so wrapped up that you forget what is around you and those less-fortunate. I encourage my peers to see what one can do to help out the Austin community. I am working towards achieving this and I think we should all keep this in mind as students. It’s important to stay grounded and humble in all you do, no matter your level of success. What do you want to do when you graduate? What are your future aspirations? I always enjoy keeping my options open and having an open mind when it comes to career decisions. Outside of work, I am interested in non-profits, specifically in social finance—investing in businesses that do social good. I want to do some good in the world. If there is a way to incorporate finance, I think that would be really interesting.